Shining the spotlight on a character who, let’s be honest, basically stole the show in Marvel Studios’ recent blockbuster juggernaut Black Panther (sorry Shuri! 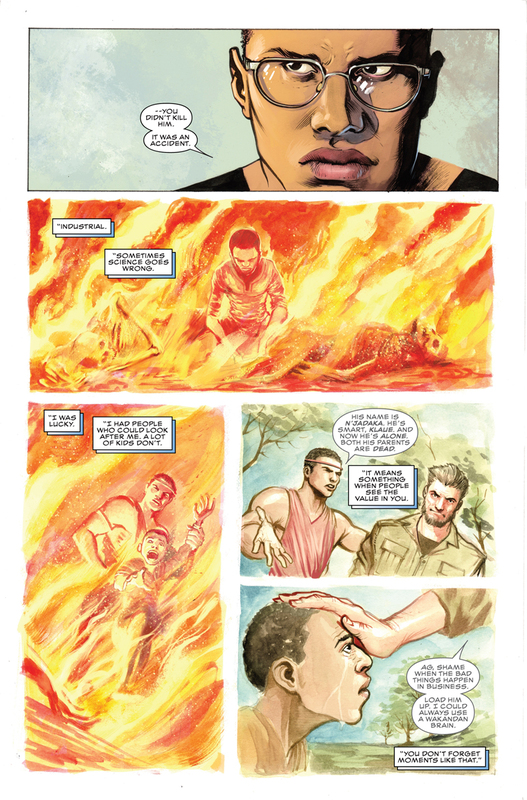 ), this new series takes a look at the events leading up to N’Jadaka – the man who would become Erik Killmonger – making his emphatic return to Wakanda. Firstly, and as should probably go without saying by now, this looks bloody fantastic. It’s no secret that I’ve been a massive fan of Argentinian artist Juan Ferreyra for quite some time now, and while it still feels a little unusual for me to keep seeing his work on traditional ‘big two’ books after cutting his teeth on the likes of Colder and Kiss Me Satan, he does a typically stellar job here. His layouts are slick and inventive, the character designs are both familiar and expressive (major kudos for including the comic book accurate Klaw rather than the gurning Andy Serkis version), and we even get a moment of classic Ferreyra gruesomeness thrown in for good measure. 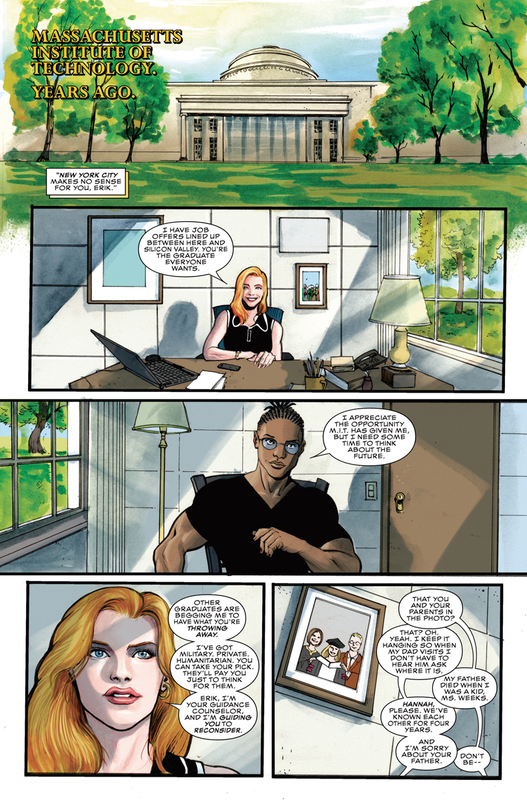 Bryan Hill’s story is an interesting one, taking a markedly different look at a character whose tragic ending we’re already all too familiar with. 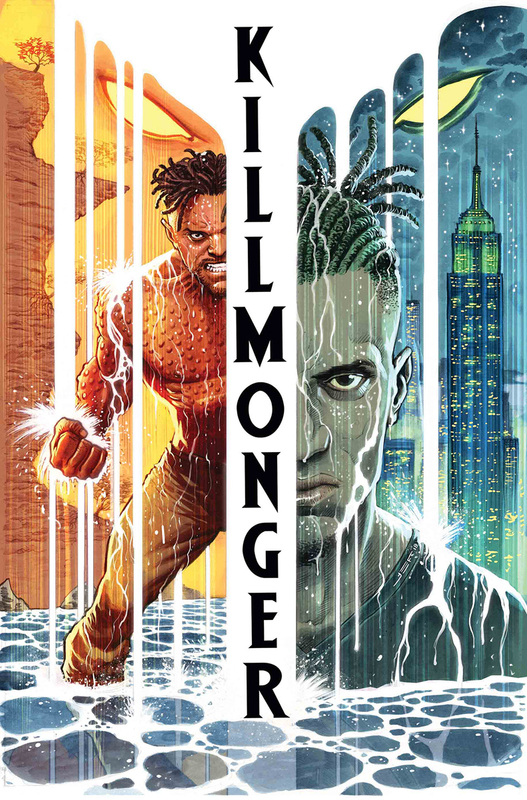 This is all about the journey that made N’Jadaka into Killmonger. The all-consuming thirst for revenge. The violent frustration at the state of the world as a whole. In a lot of ways Erik Killmonger makes for a surprisingly sympathetic protagonist, especially for a character so frequently styled as a “villain”. And while there are certainly lines being crossed here, as with all great villains it’s the nagging feeling that they may actually have a point which helps to make N’Jadaka’s story so utterly compelling. 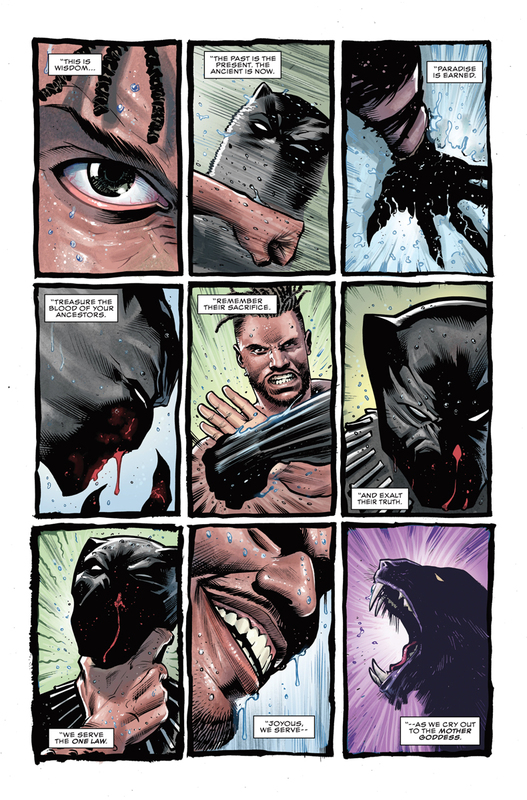 While there are undoubtedly some cool comic book moments along the way – the introduction of a new gang of mercenaries under the command of a very familiar Marvel villain, for one – it’s the blend of single-minded motivation and effortless charisma possessed by Killmonger himself, not to mention the intriguing ties he has to his Wakandan heritage, that give this series its beating heart. 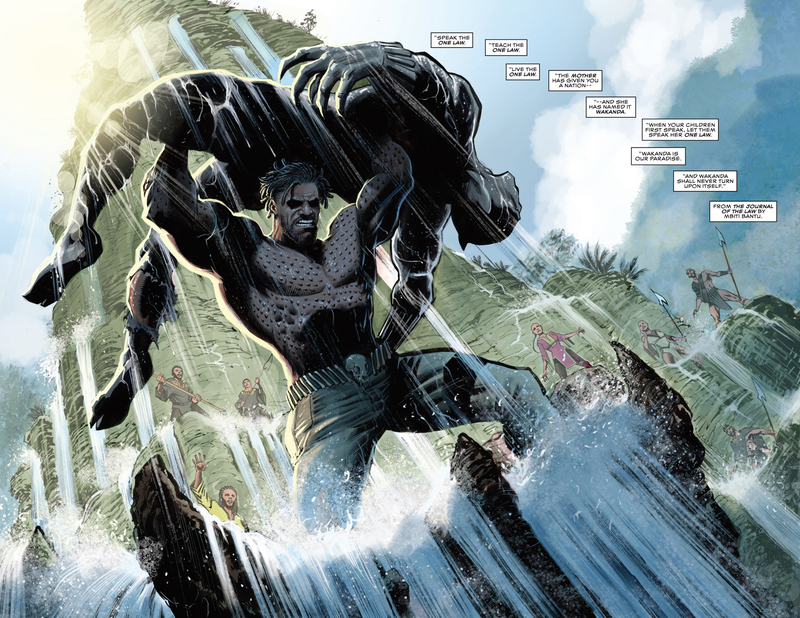 With T’Challa frequently feeling like the least interesting character in his own stories, I’m incredibly grateful that Marvel have opted to put a little focus on such a fascinating character, and the fact that Killmonger’s story is being delivered by such a supremely talented creative team is just the icing on the cake. This is an attention-grabbing and visually dynamic look at one of the most intriguing characters in the Marvel Universe, and you can definitely count me in for the rest of the journey as this story continues to unfold.